Home Uncategorized Lean Manufacturing vs Six Sigma: Which Should You Choose? Most manufacturers have heard of Lean Manufacturing and Six Sigma systems. Some believe that the two systems are much the same thing. However, although both systems are influenced by the Japanese, they are based on different methods of obtaining a streamlined, efficient flow of work through the manufacturing process. Lean Manufacturing is based on the areas of waste and efficiency, while Six Sigma is more concerned with the areas of defects and variability. 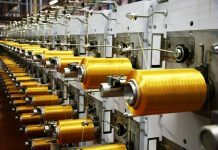 Both involve changing the way in which a company’s manufacturing processes are completed. So, the question is which method should your company choose? 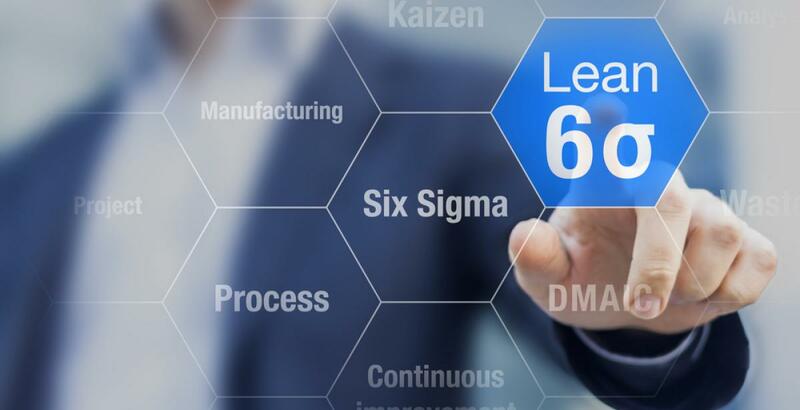 The following comparison of Lean Manufacturing and Six Sigma can help you decide which system may work best for your company. Six Sigma has two methods to achieve success with the system. 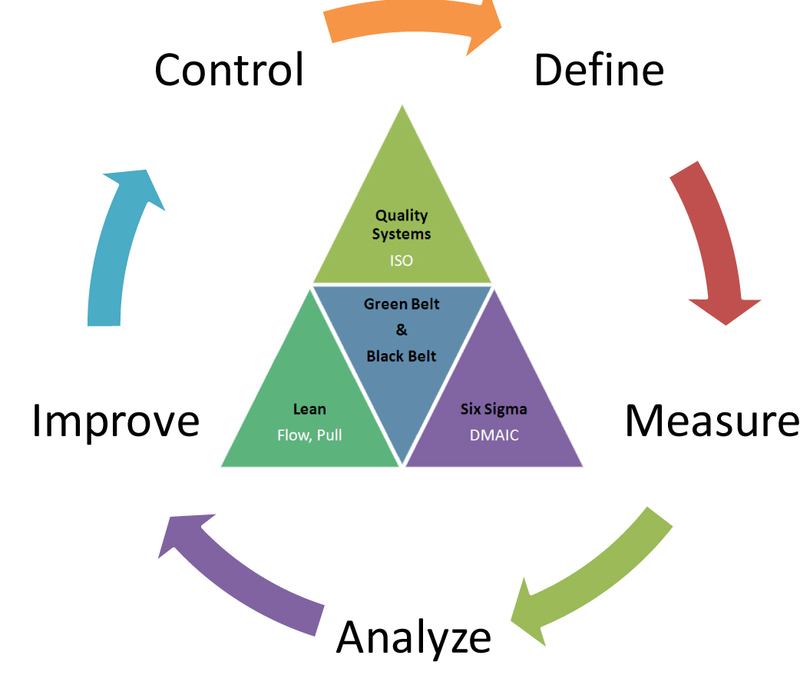 DMAIC (Define, Measure, Analyze, Improve and Control) is a method used to improve existing processes1. Sometimes R (Recognize) is added before Define to recognize the correct problem before continuing the process. DMADV (Define, Measure, Analyze, Design, and Verify), also called the Design For Six Sigma (DFSS) method, is a method used to create new products or processes. 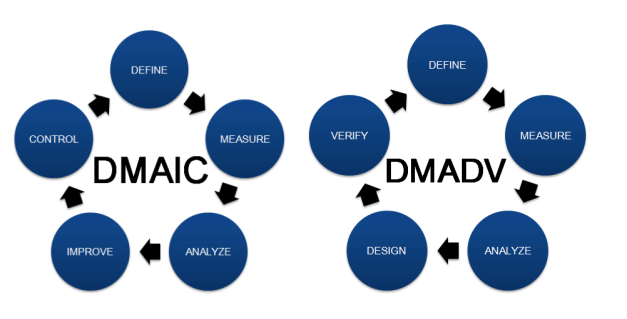 The DMAIC method has five steps, not including the recognize step. In the first step, customer requirements and goals for the project are defined1. Then aspects of the existing process are measured, and data is collected to determine how the current process works. Third, the collected data is analyzed to determine what the problem with the current process is. The fourth step takes the information from the analysis and uses certain techniques to come up with a new process that eliminates mistakes and creates a work standard to follow. Test runs are used to make sure the new process does what it should. 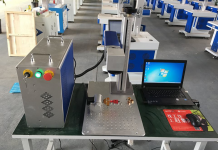 Finally, control measures are added to monitor the efficiency and quality of the product until the desired level of quality is acquired. The DMADV method also has five steps4. The first step is much like that in DMAIC. The measurement step, though, is used to identify quality characteristics, and measure capabilities and risks. The analyze step is used to create designs or make changes to the proposed design. The second design step uses the data from the analysis step to create an improved design if the collected data recommends it. The verify step runs tests to determine if the design and process are correct. Six Sigma also involves training of the people working on the project using terminology similar to that used in martial arts1. The training levels range from Green Belts at the level of workers implementing the Six Sigma program with their regular job duties, to Master Black Belts or coaches who spend all of their time on Six Sigma. Upper-level employees like the CEO and members of top management, create the vision for implementing Six Sigma and are known as Executive Leaders. Those responsible for implementing Six Sigma throughout the organization are called Champions and are chosen from upper management by the Executive Leaders. Companies with 500 or fewer employees are less likely to benefit from Six Sigma as are larger companies1. 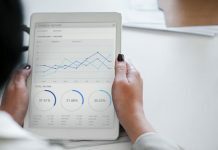 Six Sigma does have some techniques and tools that can help small to medium-sized companies. 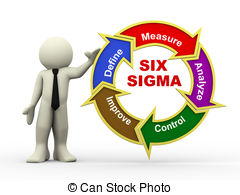 An important aspect of implementing Six Sigma is to choose the right projects for the process. 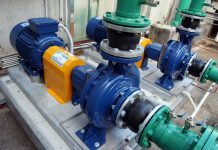 Choosing a project that has an existing process with an obvious problem and capable of lowering defects and lead time, while improving productivity and saving costs, is important. The project should also have measurable data and able to show quantifiable results. Lean Manufacturing is mainly focused on the elimination of waste in the manufacturing process. 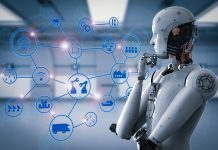 According to a study by LERC (Lean Enterprise Research Center), 60% of manufacturing production can be considered waste because the processes don’t add any value to the customer3. 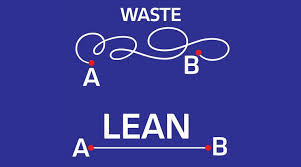 Lean Manufacturing looks to eliminate waste throughout a company’s manufacturing operation using five principles. It is important to understand what value a customer assigns to your product or service. 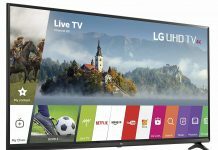 What price is the service or product worth to them? It is the company’s responsibility to cut waste and costs to allow the customer to pay the desired price and still allow profit for the company2. The value stream includes every aspect of the product’s use, from raw materials to the use and disposal of the product by the customer. Lean manufacturing encourages suppliers and customers to work together and use a steam-lined supply chain to remove waste from the beginning of the value stream to the end2. A very important key to the removing waste from the manufacturing process is in the flow of production. Any block to the flow of production, from raw materials to final product, creates waste. Removing obstructions to the flow of production tends to reduce waste and add value for the customer2. With lean manufacturing instead of creating and maintaining an inventory of product, the product is not produced until the customer gives an order for it. 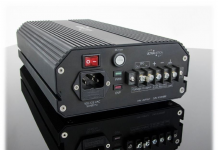 This approach requires flexibility, shortened cycle times, production times, and fast delivery to customers2. Good communication of what is needed at each phase of production daily is also necessary. The goal of lean manufacturing is perfection2. 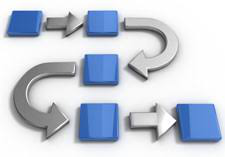 Quality management that leads to the removal of the reasons for poor quality and improves the flow of the manufacturing process drives an organization toward lean perfection. Both Six Sigma and Lean Manufacturing work toward improving the production process and saving time and cost, however, they have different methods for reaching those goals. Deciding which program to go with depends on what areas your company needs to improve on. If you are looking to decrease the number of defects and improve on variability in your product, then Six Sigma would be the program to choose. However, if you are looking to cut down on waste and improve the efficiency of your production process, then Lean Manufacturing is the system for you and your company.